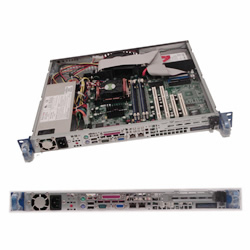 Acme FA1426-G34 back-to-back 0.5U Front Access server. AMD Opteron 6200/6300 with 1U 14 inch rackmount. option one PCI-e x8 (in socket x16) slot.